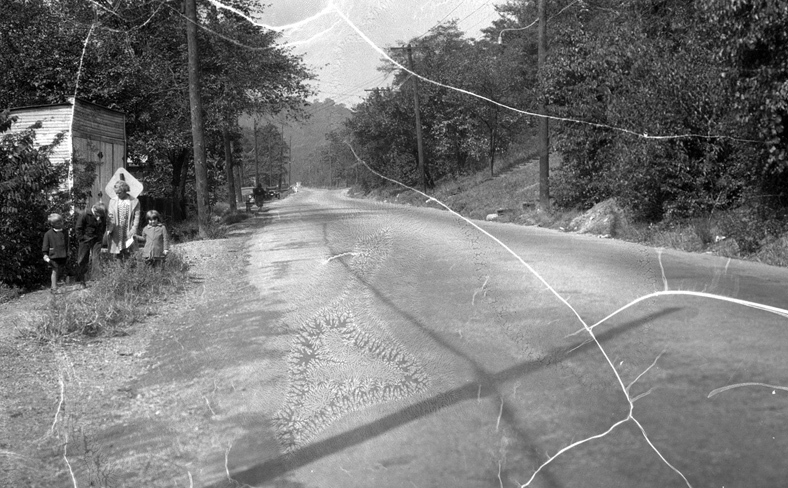 The hillside embankment along the parkway, cut at a steep angle when the road was constructed in 1938, is well known for becoming unstable after heavy rainfalls, causing mudslides that leave debris strew across the roadway as it passes over the low retaining wall at its base. 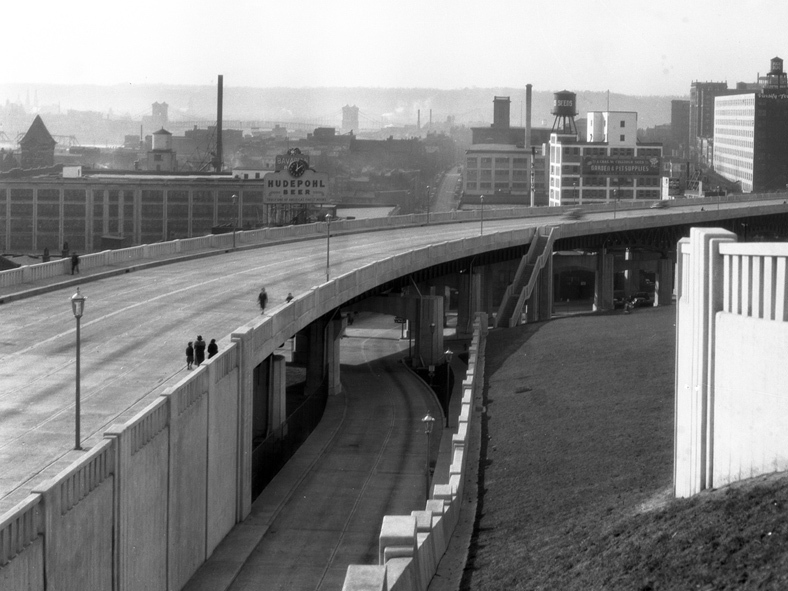 One of three major urban projects undertaken by the city during the 1930s, nearly half the cost of the parkway was paid for by a grant from the Works Project Administration. 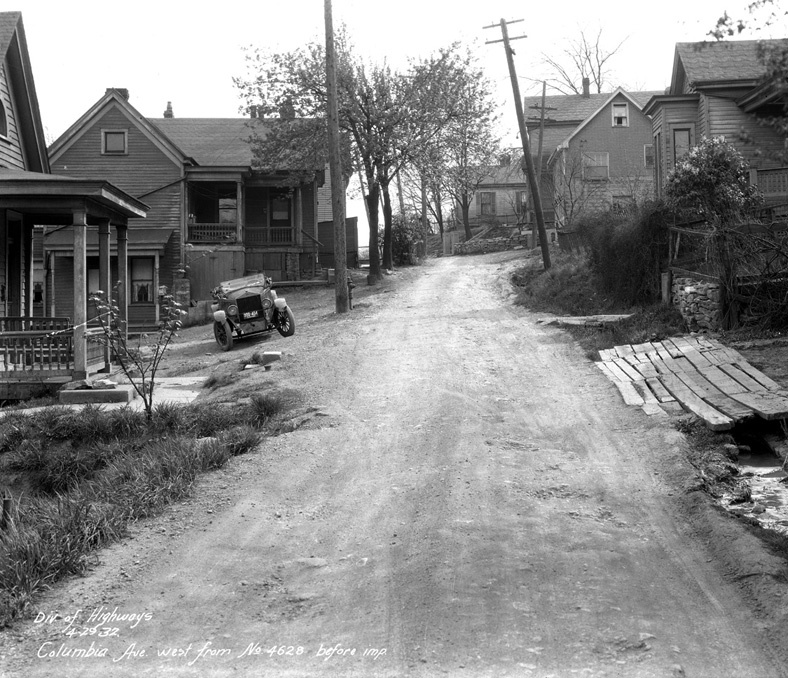 In 1929, the city of Cincinnati passed an ordinance to upgrade and expand the existing road, which at that time was named Columbia Avenue and was a simple dirt and gravel road that meandered above the Ohio River eastward from downtown. 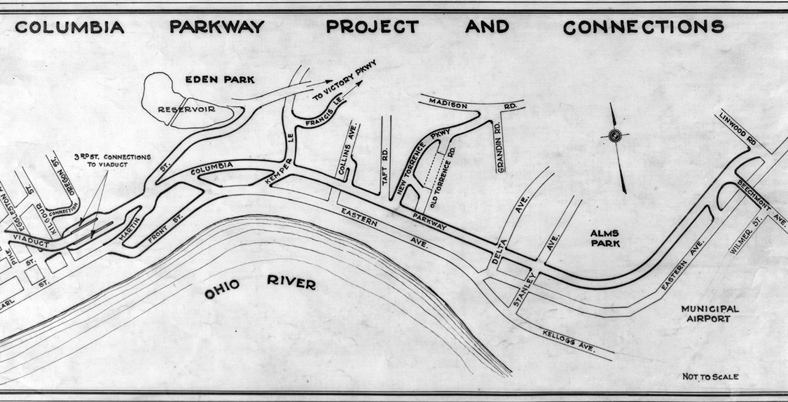 The concept of a parkway boulevard to replace Columbia Avenue was originally conceived as part of the city’s master plan designed by George Kessler in 1907, which included the many parks and boulevards located around Cincinnati. 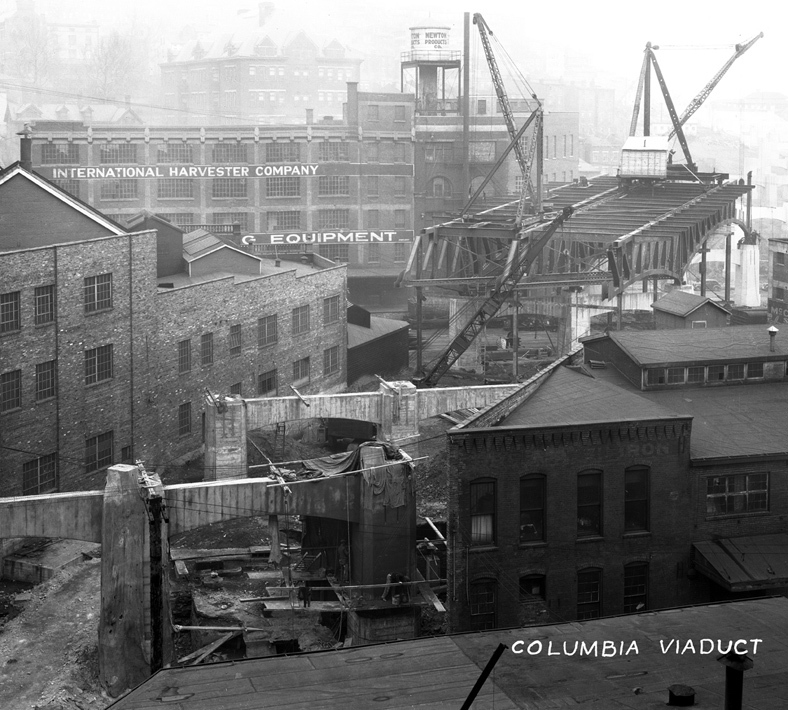 The plan included extending Columbia Avenue further out to the eastern suburbs, connecting residents in the eastern suburbs to downtown by way of a scenic boulevard. 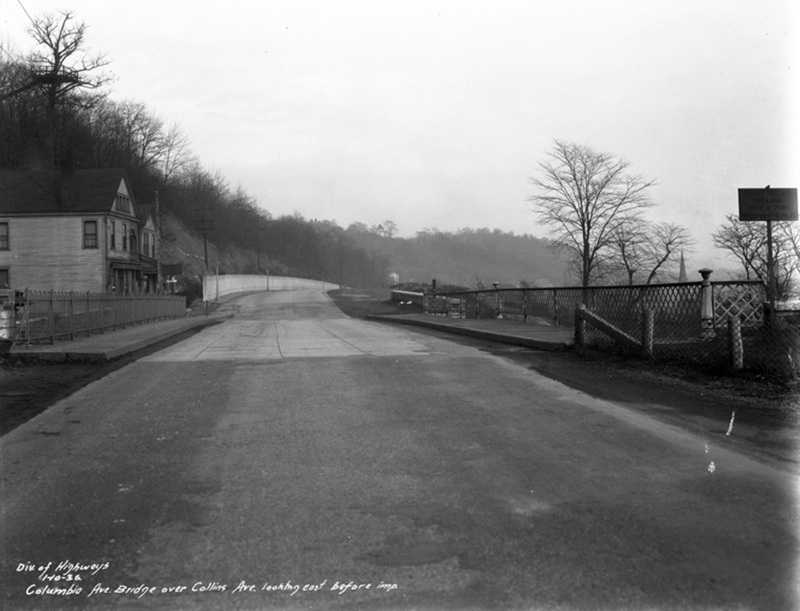 While the views were spectacular, and the new road a much more enjoyable driving experience, the engineers failed to take into account the terrain and the angle at which the hillside was cut. 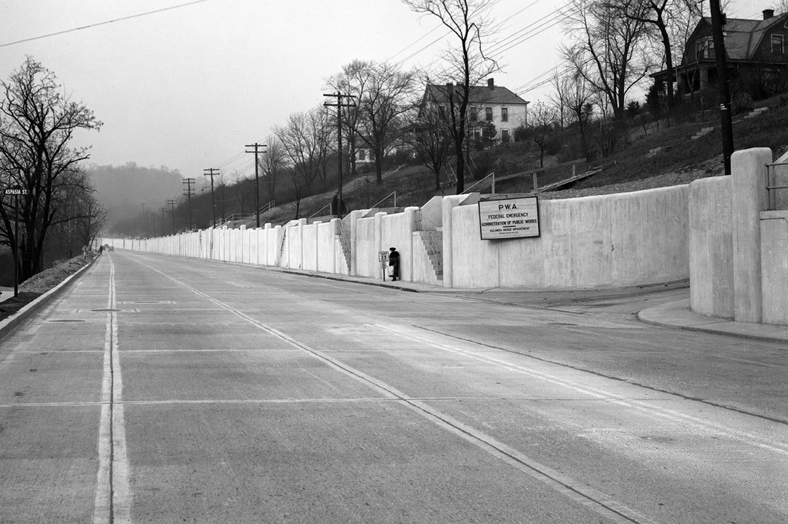 This oversight, as well as a retaining wall that was built too low to hold back the debris which regularly slides down the embankment, resulted in a major hazard for parkway drivers which continues to this day. 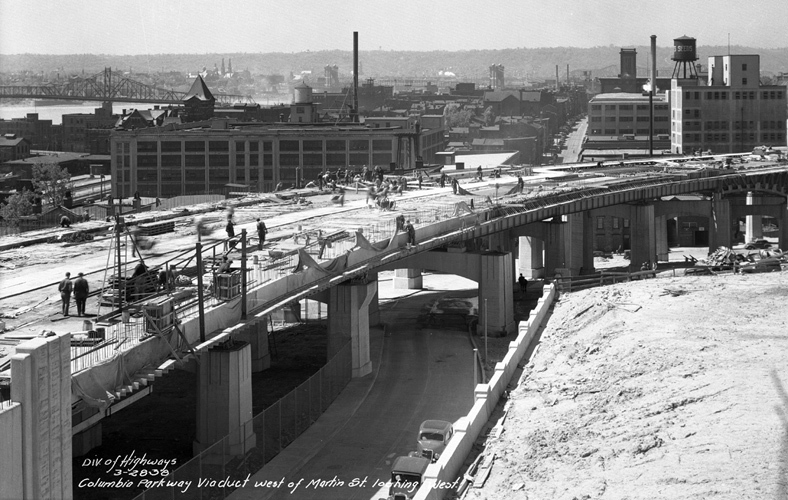 Other roadways around Cincinnati have experienced their share of mudslides and other shifts in the terrain, such as the landslides caused by subway construction along McMicken Avenue in the mid-1920s (see the Dec. 10, 2012 blog, Accidents Happen). 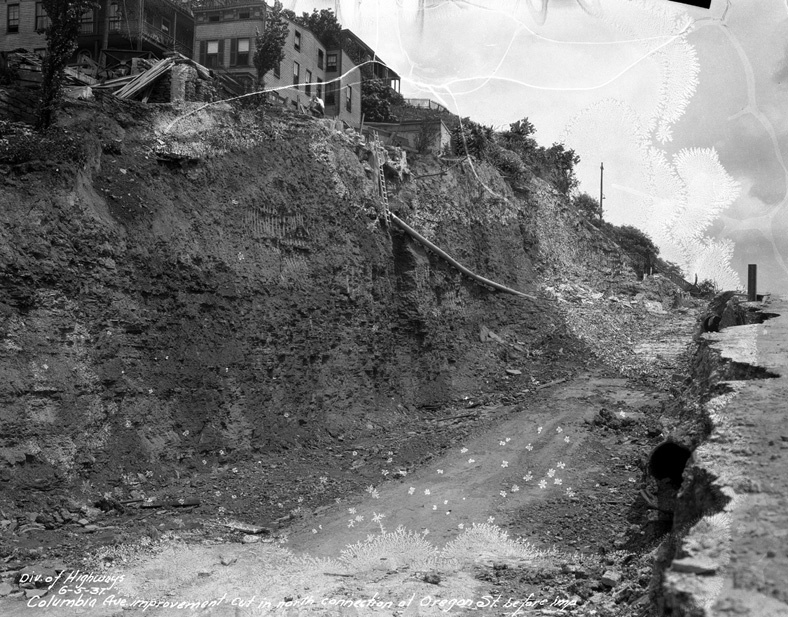 These areas were stabilized, but slides continue on a regular basis along Columbia Parkway and too-date, the city’s Transportation and Engineering Department has no long-range plans to rectify the Columbia Parkway landslide issue. 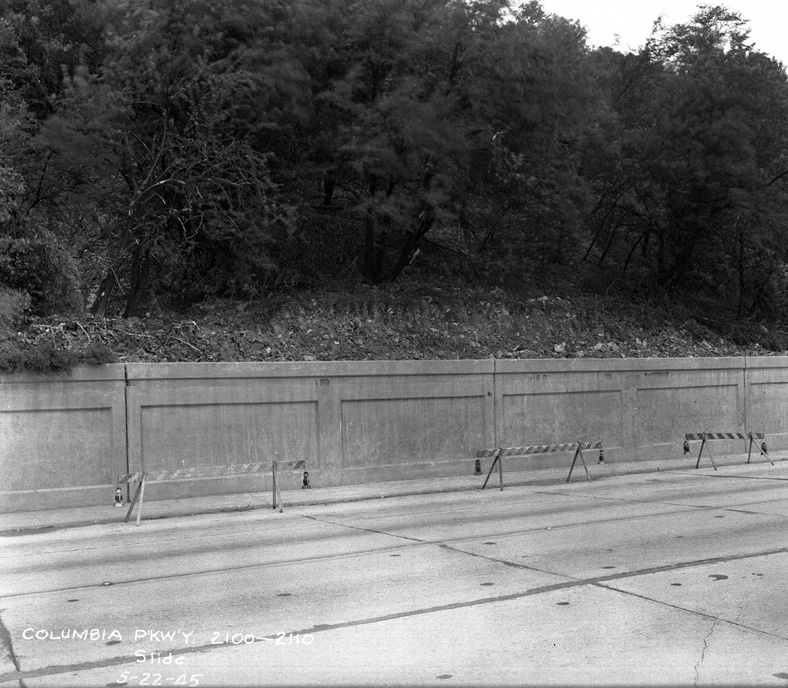 Mudslides are simply dealt with on a case-by-case basis, usually resulting only in lane closures until the hillside is deemed stable. 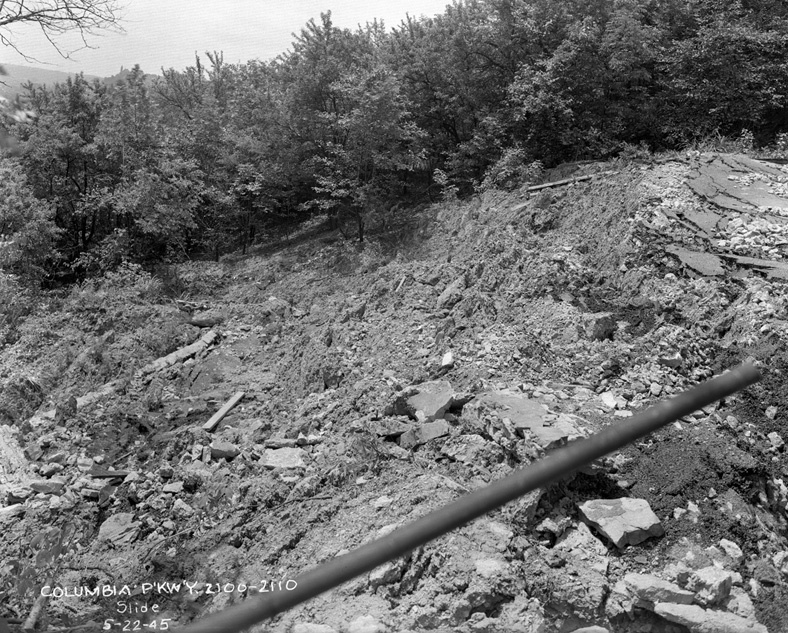 Clean-up while the ground is still saturated could result in additional sliding, so debris is generally left where it lands until a point when the area is considered safe. 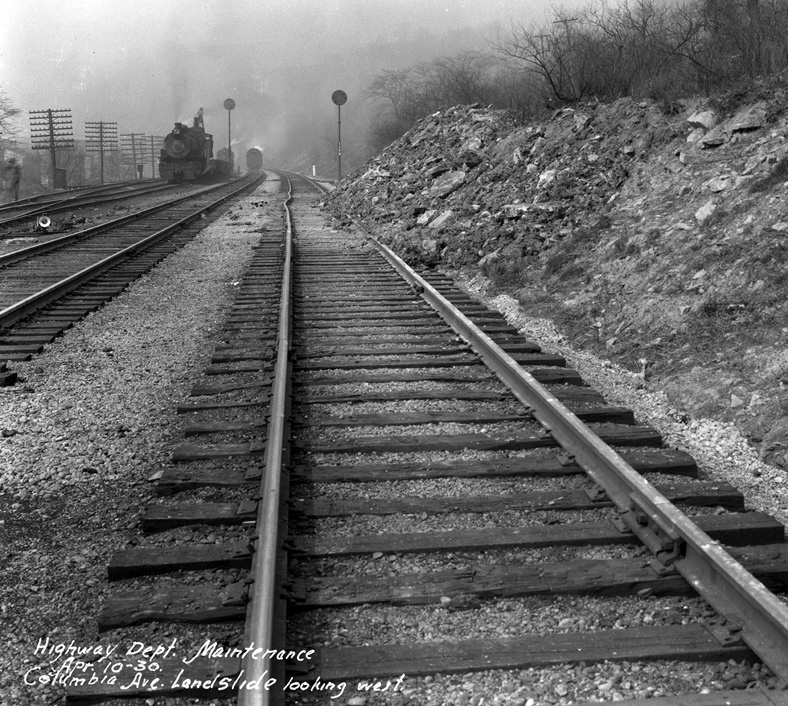 Many editorials and reports have been written on the Columbia Parkway landslide issues. 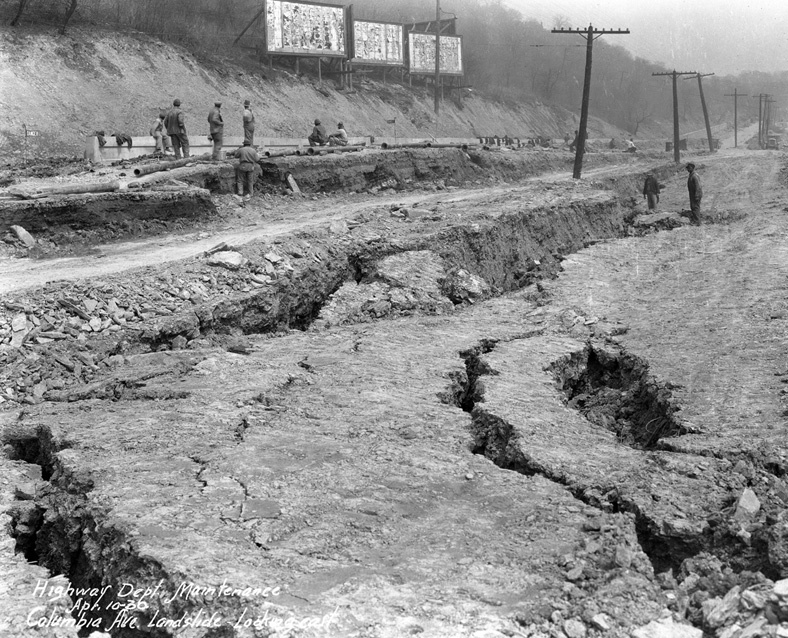 The U.S. Geological Survey is even sited in one article, listing Hamilton County as having the “highest annual per capita landslide damage in the nation” with some $500,000 spent each year for emergency clean up in Cincinnati.